Thunk3D——Professional 3D Scanner Manufacturer from China, Since 2008. 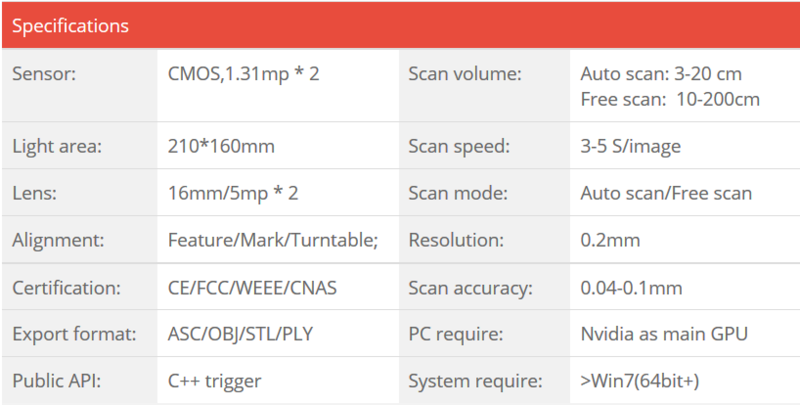 Easy calibration, or no need calibration in free scan mode. You could move either the scanner or the target during scanning. (Only in free scan mode). 0.04mm accuracy, you could apply in industry, for quality test, data comparison, reversing work ect. Output watertight data in Thunk3D software with excellent details.